Adam Kownacki and Jarrell Miller are not only Brooklyn raised heavyweight boxers, but also near opportunities to fight for world titles. Miller has emerged as one of the front-runners to face Anthony Joshua this spring, bringing Joshua to the United States for the first time in his pro career. 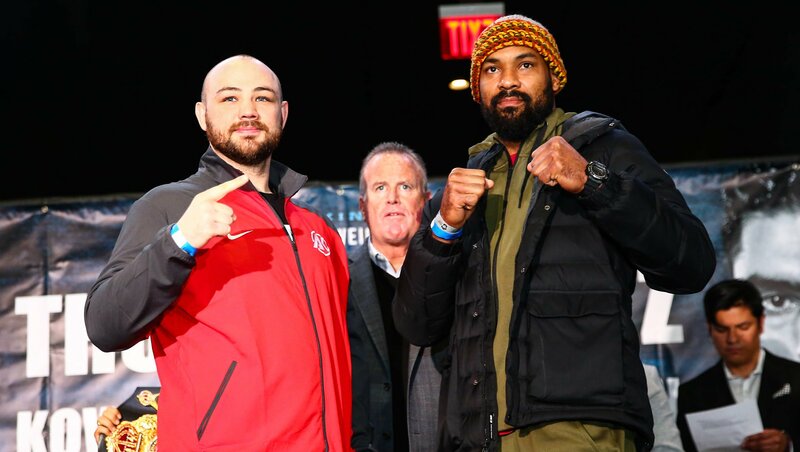 Conversely Kownacki just finished demolishing former WBC world title challenger Gerald Washington this past weekend at Barclays Center in his native borough. Kownacki told reporters following his victory last week on the PBC on FOX card, that if he and Miller were able to climb over the hurdles put in-front of them, he’d love to fight his friend and sparring partner in a heavyweight unification match in their hometown.